Since Dengue is affecting many people. It's very important to take help of Ayurveda. Following ayurvedic bhasma medicines are effective to keep platelets up and control fever and pains. It will also arrest bleeding as it is cooling in nature. It's very important that Dengue should be diagnosed and tested. Now a days there are tests which can confirm dengue within 24 hrs. of fever. High grade fever (can be chills). Pain in joints especially behind eyes. Dr. Vikram Chauhan - MD (Ayurveda) from Planet Ayurveda recommends this combination for people suffering from Dengue. 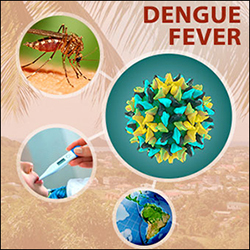 The below mentioned combination is available with all Ayurvedic shops all over India and is very effective in treatment of Dengue. It can be given along with ongoing allopathic treatment or Crocin (acetaminophen). Do not give ibuprofen or other antibiotics during dengue. 1. Here is list of Classical Ayurvedic medicines to be given to Dengue patients immediately. Dose: 1 sachet twice daily. 2. Syrup. Immubuild 2 teaspoonful twice daily. 3. Syp. Amlycure DS 2 teaspoonful twice daily. 4. Tab. Giloy ghan vati 2 twice daily. 5. Cap. Uplat or Gplat or Giloplat or platoplus or tridang - anyone if the above available 1 twice daily. 1. Avoid Tulsi, ginger, turmeric, garlic and other spices as they are hot and work like blood thinners. To make it tasty, add 4 big Californian grapes or 1/2 sweet pear to make the juice sweet and full of anti-oxidants. Coconut water - consume at least 4 per day. Pomegranate juice- 50 ml at a time, 4 times a day. Other fruits juices like apples, pears, watermelon, kiwi, pineapple, mosami and oranges. 4. Plenty of water and goat milk or cow milk can be given. 5. Khichdi, moong dal (loose), light chapati should be given. 6. Homemade vegetable soups (very less spices) should be given. Forward this to as many people and groups as possible as this may help someone in need.